Our mission is to give you more time to spend with loved ones!! Whether you need Post Construction Cleaning, Deep Cleaning, Move In/Move Out Cleaning or VCT Floor Strip/Waxing - Tiger Cleaning Services is here for you. We ensure a perfect cleaning plan that will fit with your schedule and guarantee your satisfaction. 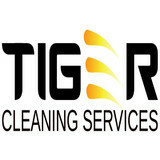 Tiger Cleaning Services is a leader in commercial and residential cleaning. We offer a variety of services to a variety of industries. We have experience in working with different companies in many industries. The TCS crew shows up and respects your property. Our professional cleaners show the utmost respect for you and your property. You can feel safe and secure with us there. Supervision by management teams ensures all expectations are met. We are insured. Since then, Spotless Cleaning has been busy at work scrubbing away! We are dedicated to making our clients content by providing the best services we can. Our mission at Spotless is to provide reliability, honesty, integrity and the best quality that you can possibly expect. We are available on a weekly, biweekly, and monthly basis. We don’t use harsh chemicals or dangerous products, but we use extreme attention to detail. By the time we are finished with your home, it will be cleaned spotless! Spotless Cleaning Services is a reputable full service company that offers such services as packing, moving, home/office organization, handyman services and of course cleaning… licensed through the State of Colorado (In good standing) and insured. We are a locally owned and operated company that values honesty and integrity and treats your home as if it were our own. We offer a variety of quality cleaning and janitorial services. You will find us to be competitively priced with close attention to the details of each and every project that we are involved with. We look forward to building lasting relationships and guarantee your satisfaction! We provide exceptional services throughout multiple areas of your home and bring out its beauty. We reorganize and declutter any and all work areas including garages, home and small business offices and arts n craft rooms. Our cleaning expertise is of the highest quality. 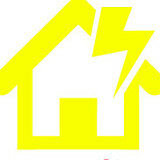 We can assist with all aspects of move-in & move outs. During the holidays seasons and/or during your private family events we can be hosts for your parties and assure your home, especially your kitchen is left perfect for the next day. Additionally, as specialty projects we also provide interior and exterior painting and window cleaning, chandelier cleaning and a multitude of remodeling projects... 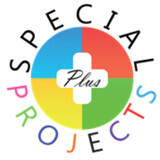 IF YOU HAVE A SPECIAL PROJECT ASK US ABOUT IT AND I'M SURE WE CAN HANDLE IT IN EXCELLENCE! Homes that arenâ€™t only sparkling clean but are also healthier and safe from harmful chemicals, thatâ€™s what residents in Broomfield, Colorado enjoy when they call Clean Conscience Green House and Maid Services for their cleaning needs. The business is tailored to what our customers indicated they wanted. We have pioneered a cleaning service that offers four distinct areas of value for homeowners that look for the best in the business: simple to use online service; a safe service that includes, background checks, insurance, bonded; immaculate, high-class quality; and world class customer support. Colorado Mile High Cleaning aims to be much more than just another eco-friendly cleaning service in Northern Colorado. It is our belief that the environment has a dramatic impact on the mental, physical, and spiritual health of all who inhabit it. Our methods are designed to maximize clean, improve indoor air quality, protect the health and safety of our clients as well as their family and pets, our green cleaning professionals, and the general public. We clean in a sustainable manner that minimizes its overall environmental impact. We consider ourselves to be architects, charged with the task of constructing a healthy, relaxing, and truly green, serene atmosphere. This core principle is what drives us to provide a pinnacle level of service to our clients. We all desire to have living quarters that are free from clutter and debris. However, many of us seldom have the time, patience, or capability to keep them spotless. Many of our clients have grown to rely on our meticulous and perfectionist green cleaning professionals to give them the luxuries that typically are enjoyed by the tidiest of people. Walking into an environment that has been thoroughly green, cleaned chemical-free, can have the most therapeutic effect on someone which is especially beneficial when living in Colorado. We here at The Cleaning Company pledge to treat you, our customer, with respect and individual attention. We were taught old school methods of keeping your house pristine! We do it all, from safely washing your home's exterior and roof, to cleaning your driveways and sidewalks, to getting your patios and decks ready for guests. Super PowerWash Bros delivers superior cleaning to your home's exterior. Got a business? Great! Your business needs to look great to attract clients! We will clean your building, wash your parking lots and sidewalks and get your patio areas ready for customers. Royal Cleaning has over 25 years experience in janitorial and residential cleaning services. We not only specialize in cleaning, but we do it the way you like it. Our mission is to provide the highest quality service at the most competitive rates. We believe in doing the right thing for our staff, our customers, and stakeholders. We keep overhead at a minimum so that we can focus on our core competency - making our customers happy. If you're not happy, we're not happy. It is as simple as that. Give us a call and you will be glad you did! What should I expect from a house cleaner in Lafayette, CO? Most professional Lafayette house cleaning services will do the same tasks for a basic residential cleaning job: clearing dust and cobwebs from all surfaces and fixtures; wiping all surfaces, including sinks, tubs, counters mirrors; cleaning tile; vacuuming and mopping. You may want to have different rooms detailed at different times, so ask about doing a rotating schedule if you want them to pay extra attention to each space (like kitchens and bathrooms) every other cleaning. Some house cleaning companies in Lafayette, CO will also offer additional services such as window washing or appliance cleaning, so ask about incorporating them into your deal or doing them as a one time thing if you’re interested. Pick up any clutter (laundry, toys and other gadgets) and put pets in a secure spot so they feel safe and don’t get in the way of the Lafayette house cleaning company. Put out any specific cleaning products or tools you want used, and make sure to lock up any valuables that you don’t want disturbed. Most housekeeping services in Lafayette, CO will enter with a spare key or garage code, but if that isn’t something you’re comfortable with then you should arrange for them to come when you are home to let them in. Typically Lafayette house cleaners expect payment at the time of cleaning, so ensure you have the appropriate form of payment (cash, check or credit card) on hand, plus a little extra for tip if that’s your style and they do a great job. 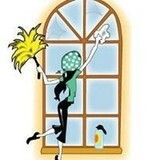 Find Lafayette house cleaning services on Houzz. Narrow your search in the Professionals section of the website to house cleaners in Lafayette, CO and contact local companies to ask questions and get quotes.